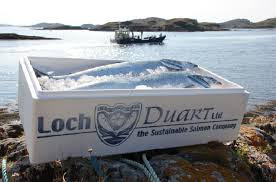 A breach of licence conditions at a smolt hatchery run by the Norwegian aquaculture company’s Irish division in Donegal has also been identified by Mr Creed’s department. A third investigation by his department found no “provable” breach of licence conditions at a salmon and rainbow trout farm run by the same company near Inishfarnard in Coulagh Bay, Co Cork. 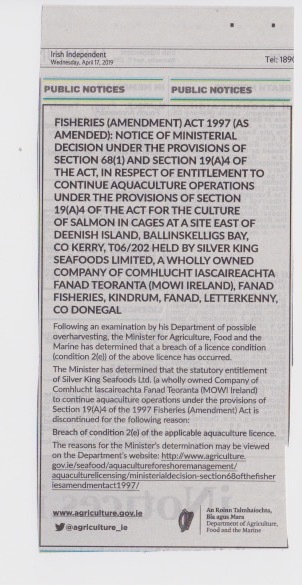 Mr Creed’s decision to discontinue a fish farm licence for the first time was taken under the Fisheries (Amendment) Act, 1997, which permits him to revoke or amend a licence if he considers it in the public interest, or if he is satisfied of a breach of conditions. 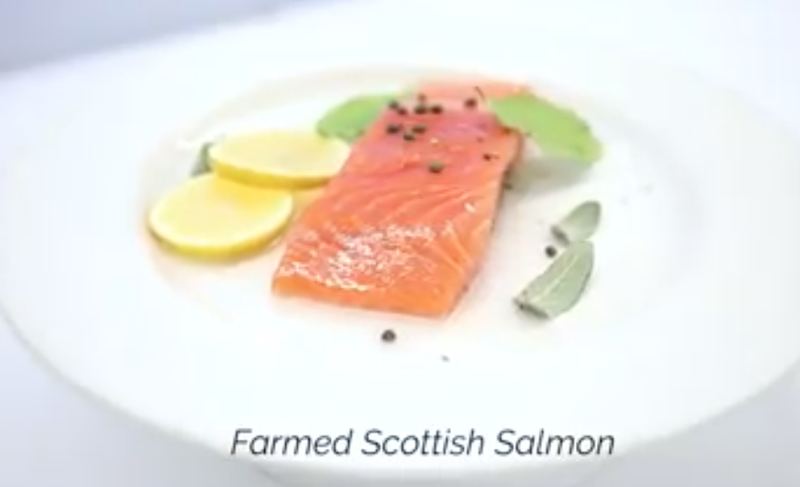 Mowi, the world’s largest farm-reared salmon company, has its headquarters in Norway and runs farms in Chile, Canada, Scotland, Ireland, and the Faroe Islands. It employs almost 300 people at over a dozen fish farms in five coastal counties here. 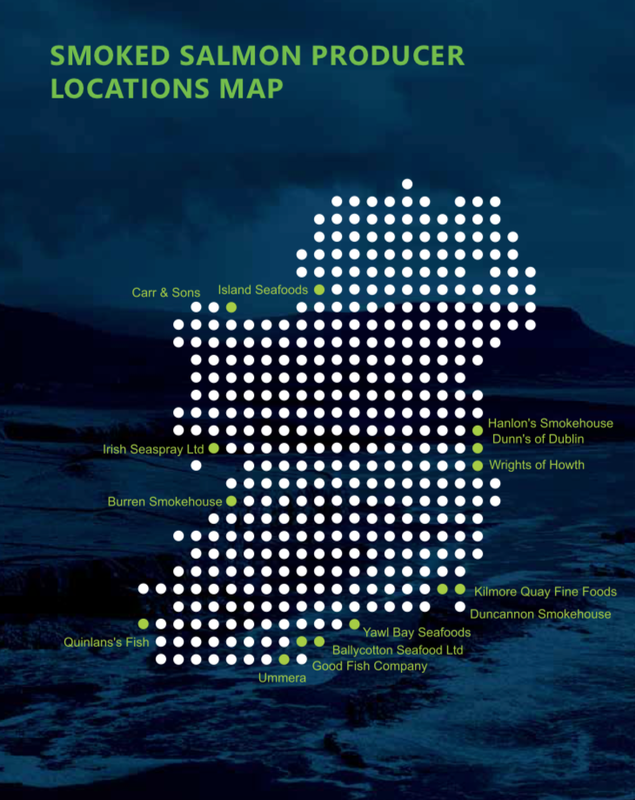 Investigations by the Department of Agriculture, Food and Marine identified overstocking at Silver King Seafoods Ltd at Deenish in Ballinskelligs bay, Co Kerry three years ago. The Kerry farm is licenced to harvest up to 500 tonnes (dead weight) of salmon in any one year, but harvested just over 1100 tonnes in 2016 – over 121 per cent more than permitted. The breach is “significant”, the department says, and the decision to rescind the licence under section 68 of the Fisheries (Amendment) Act 1997 is “proportionate and warranted”. “The company was fully aware of the limits set by the specific condition of the licence governing harvest tonnage,” it notes. "Breaching licence conditions serves to undermine public confidence in the regulatory system, and therefore enforcement by the department of licence conditions is in the public interest." The department says that an increase of 121 percent in stock harvested from the site must increase its effluent discharge. Mr Creed’s department also identified a licence breach at a freshwater smolt cultivation site run by Comhlucht Iascaireachta Fanad Teo T/A Marine Harvest Ireland at Lough Altan, Procklis near Falcarragh, Co Donegal. Under the licence terms, annual production should not exceed 2.5 million smolts at the plant, which provides juveniles for seawater farms. However, the department opted not to revoke the licence, but to amend it, due to the “very serious commercial consequences for the company”. The department’s inspector had recommended revoking the licence. The department also decided to amend the licence at the Inishfarnard farm in Co Cork where it found “no provable breach” in “circumstances where evidential issues may arise as to what technically constitutes a smolt”. The licence amendment is to “avoid a similar situation occurring in the future”, it states. Its inspector recommended discontinuing this licence. Mr Creed declined to comment on the decisions. Mowi/Marine Harvest said it was seeking legal advice and would comment further. It said it was “disturbed” by the fact that it had sought renewal and improvement of the Deenish licence back in 2007. Friends of the Irish Environment (FIE) welcomed the decision in relation to the Deenish fish farm in Co Kerry. 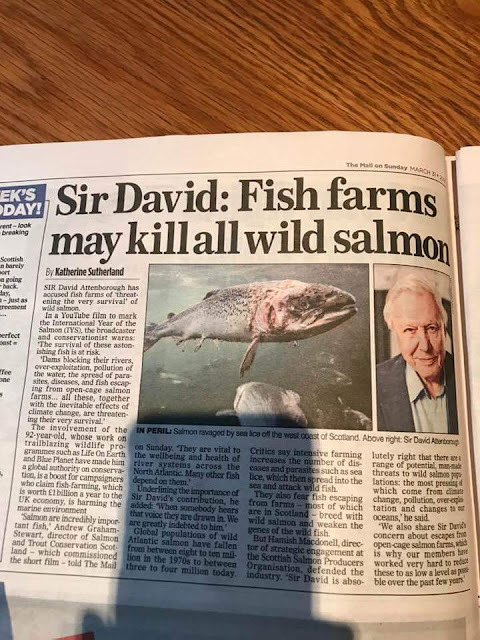 However, FIE spokesman Tony Lowes urged Mr Creed to reconsider his decision in relation to the two other fish farms, given the recommendations by the department’s own official. "The high levels of overstocking means that the pressures on the environment have not been assessed, as required by European and national law." 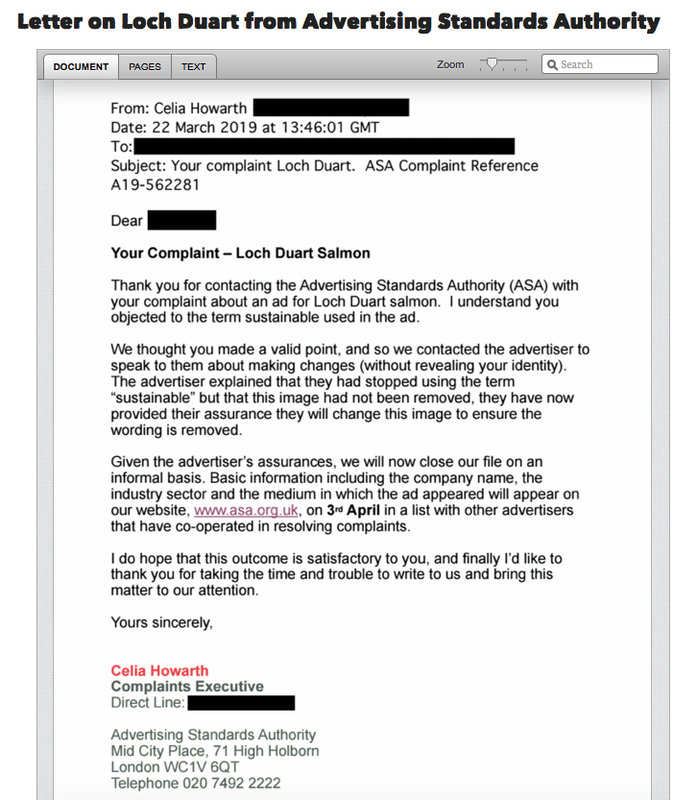 "The overstocking also undermines the department’s sea lice control, where the number of lice is based on samples taken multiplied by the number of fish licenced,” Mr Lowes said. 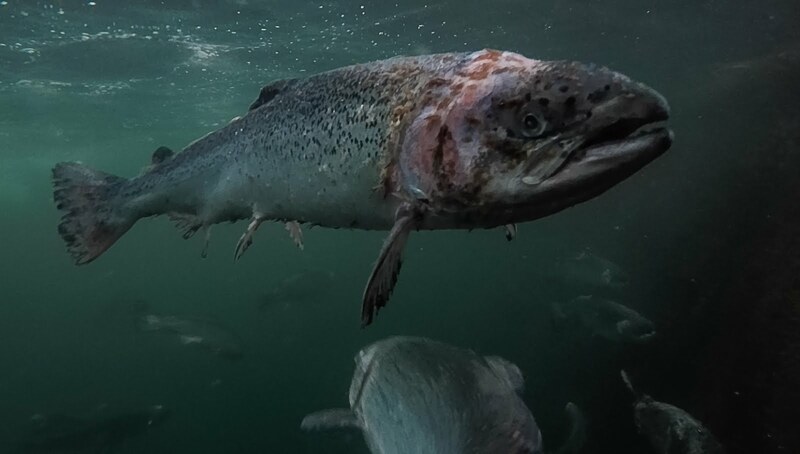 Marine Minister Michael Creed has taken an unprecedented step of “discontinuing” a licence held by Norwegian multinational Mowi, formerly Marine Harvest, to produce farmed salmon in Ballinskelligs Bay, Co Kerry. A second breach of licence was found at a smolt hatchery run by the company in Donegal. A third investigation found no “provable” breach at a salmon and rainbow trout farm run by the company in Coulagh Bay, Co Cork. 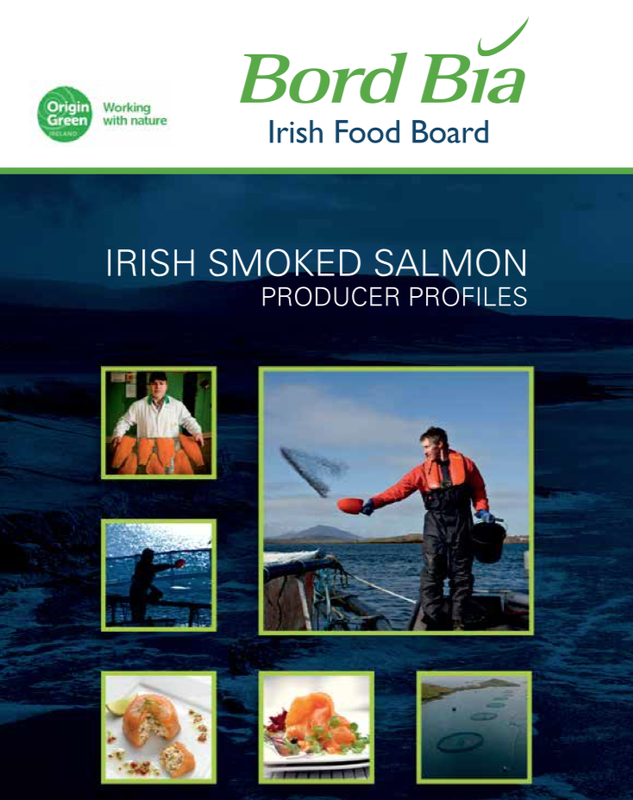 The Silver King Seafoods facility in Kerry had a licence to produce 500 tonnes of salmon but harvested more than double that in 2016 with an inevitable increase in the waste generated at the site. Salmon farming is a contentious generally unwelcome industry — despite industry lobbyists’ insistence — and is accused of having a hugely negative environmental impact. So much so that some countries are moving to ban open-cage, sea-based farms and insist on contained feedlots for the fish. Now that the Government has recognised the threat salmon farms pose it should follow suit. LICENCE REVOKED AT LONG LAST. THEY HAD TO! 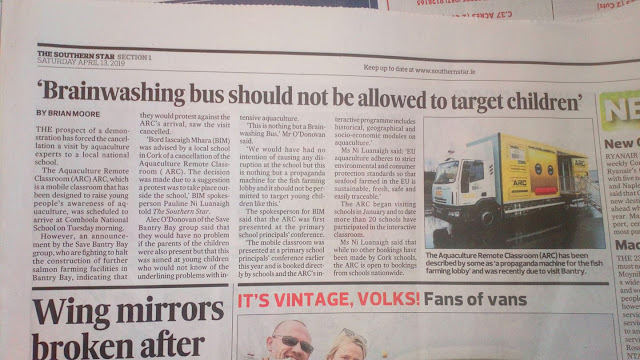 THEY WERE CAUGHT OUT. TAKE THIS UNREGULATED INDUSTRY OUT OF OUR BAYS. OVERSTOCKING, EXPLOSIVE SEA LICE LEVELS, DISEASE, ESCAPES TO NAME A FEW. • An increase of 121% in the stock harvested from the site must increase the effluent discharge from the site. • Enforcement of the licence conditions by the Department serves, inter alia, to uphold the integrity of the State’s regulatory regime in respect of food production from the marine environment. • The Company is aware of the terms and conditions of the licence it holds and must conduct its affairs in accordance with the law. 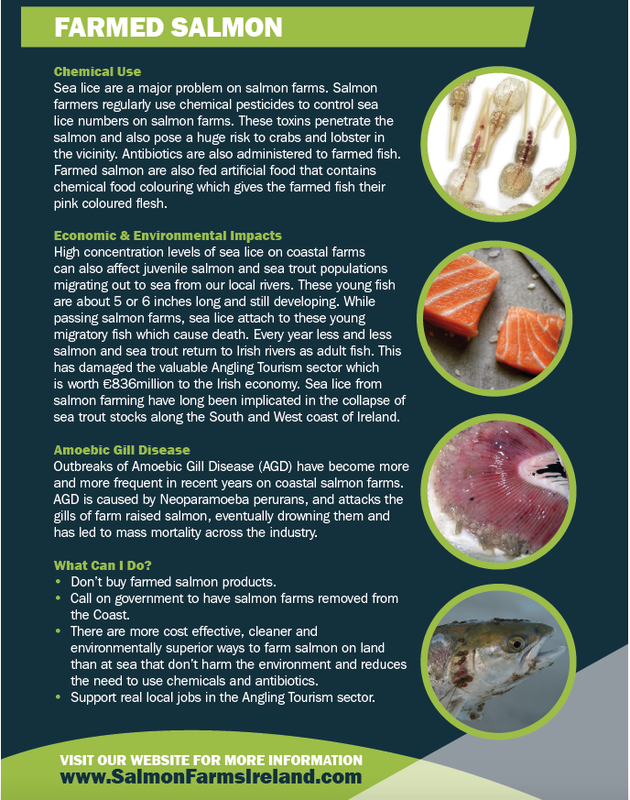 The campaign group Galway Bay Against Salmon Cages (GBASC) has called on the Irish government's department of agriculture, food and the marine (DAFM) to take action against what it describes as "out of control" lice levels in salmon and trout farms on Ireland's west coast, from Donegal to Connemara. The group has demanded that any salmon farms unable to keep lice below certain levels should have their licenses revoked by DAFM. The group's demand follows the recent update from DAFM to the country's department of communications, climate action and environment on the action being taken to resolve the lice situation. GBASC has also questioned the effectiveness of the desalination plants installed by Bord Iascaigh Mhara, Ireland's seafood development agency, claiming the new strategy "has not worked." 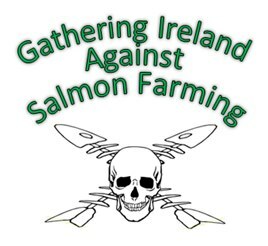 "GBASC has no doubt IFA Aquaculture and the salmon farming industry will blame any loss of revenue on the lack of new licenses, as they did in their recent press release to the media to justify the drop in production of farmed salmon by 39% in 2018," the campaigners state. 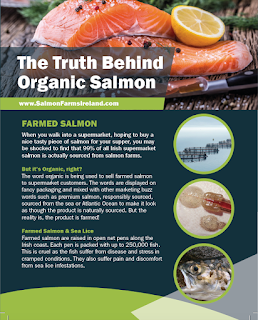 "The drop in production was more than likely caused by incompetent farming practices leading to sea lice infestations, disease, and stress-related deaths as a result of treatment procedures for sea lice and amoebic gill disease."